Dota 6.68 Changelog | Dota Allstars 6.68 Map Changelogs. The thrilling map in the history of Dota Allstars is released. Because it has some huge changes and some remarkable heroes which will drive you crazy while playing your favorite game. Dota Allstars 6.68 changelogs can be read below. - Moonlight Shadow's duration rescaled from 7/9/11 to 11. This item replaces Arcane Ring. - Adds a poison effect to your attacks. Deals 3dps and lasts 3 seconds. 4% slow for ranged, 12% slow for melee. - Orb of Venom added as a component. Final bonuses are the same as before. * Added a new ability to the courier that drops all the items that do not belong to you to their respective CoPs and then gathers all items that are yours onto the courier. I had mentioned a Phoenix hero was in the works in the past. 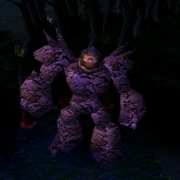 I've decided to save the hero for DotA 6.69 instead of putting him in this one. I want to work on him more. Now no one can beat me at DotA! hahaha! eeww!!! for 6.68 try it!~! hahaha DONT TRY TO BANISH YOURSELF !! NOO.. if you tried to buy Chainmail it will show you the message: Not enough Gold. !!! I endup with gondar with 3000+"Reliable Gold" and couldnt buy a damn thing, so we lost (pub game). So fix it in the upcoming map! "IceFrog is shiting on DotA before go to Valve." shadow demon is really cool!! How About KODO? Where is he??? I Xpectd so much on icarus.................got 4 other heroes . which is quite better!! Glad the new version got released just in time to test out my new gaming rig (i7-980X, 16GB DDR3-1666, 5970x2). I wonder if it is possible to force anti-aliasing beyond 8x for this game.